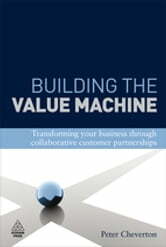 Building the Value Machine represents the type of business that many aspire towards - a business that is able to align its internal functions, including sales and marketing, in order to collaborate with its key customers and create real and unique value for mutual benefit. This book provides a solution to the challenge of finding the right organizational structures, the right planning and operational processes, and to place all of that under the right kind of leadership to create the 'right kind of value'. This is the kind of value that will be good for both the customer's business and the organizations. 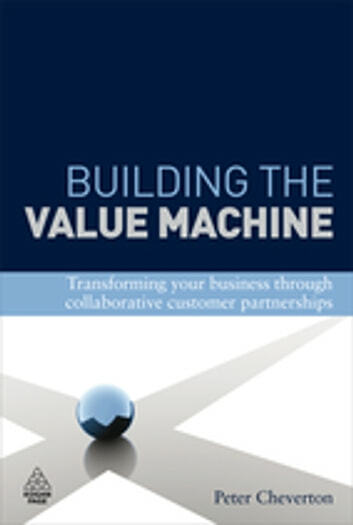 Building the Value Machine explores how to target your customers effectively, match the capabilities of the business with the needs of the customer, and align all business functions through successful leadership. The result is a business that is truly aligned with its customers, and fully attuned to the vital match between knowing which opportunities to chase and being able to deliver the value required. It will help any business learn and develop both its processes and its value propositions.